The great side of the very polarizing actor is about to make a comeback, and we should all be excited. It’s no secret James Franco is one of the most hate-him-or-love-him actors working in Hollywood. But even those who consider themselves fans don’t always show up to the countless indies he makes in any given year, from “Memoria” to “The Adderall Diaries,” “King Cobra” and directorial efforts “In Dubious Battle” and “The Sound and the Fury.” At this point there’s no denying Franco has talent, but he takes on so many middling projects and appears in what seems like everything to the point that it can be hard to remember why you loved him in the first place. Fortunately, Franco looks like he’s ready to remind us why he belongs in the business. It’s happened before — his Oscar-nomianted lead performance in “127 Hours,” his go-for-broke turn in “Spring Breakers” and his criminally under-seen work in “I Am Michael” — but it hardly happens enough. Luckily, it’s going to happen again. 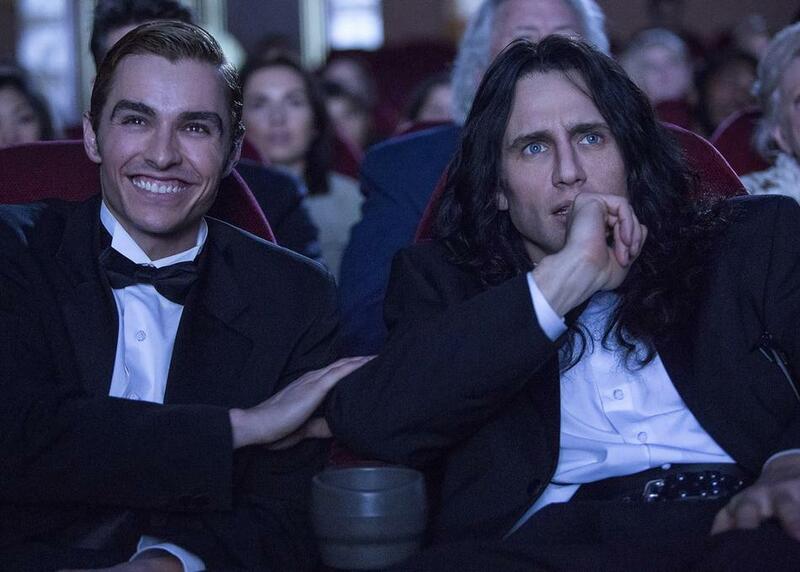 First up is “The Disaster Artist,” Franco’s passion project about the making of the infamously terrible Tommy Wiseau movie “The Room.” Franco directed the biographical comedy-drama and stars as Wiseau opposite his brother, Dave, as actor Greg Sestero. It’s safe to assume the Coen Brothers will do something similar. The filmmaking duo are very particular when it comes to casting, and they know exactly how to use a performer’s strengths to the story’s advantage (see every actor in “Hail Caesar!”). They obviously cast Franco because he’s got whatever is required to take his portion of “Buster Scruggs” to the next level, and that makes us very excited for whatever the end result is going to be. There’s also the fact that Franco has never really tackled the traditional Western genre yet. It’s too early to tell whether the Coen Brothers are crafting a comedy or a drama, but casting Franco probably means a mix of both. Whatever “Buster Scruggs” ends up being, working with the Coen Brothers hot on the heels of “The Disaster Artist” is just what Franco’s career needs right now. Starring as twins in David Simon’s HBO drama series “The Deuce” is an added bonus. He’s too unique of an actor to simply appear in R-rated studio comedies (“Why Him?”) or average indies that go straight to VOD. There’s nothing wrong with taking on those projects, but every once in awhile you’ve got to remind viewers why your presence matters, and Franco seems finally ready to do that once again.